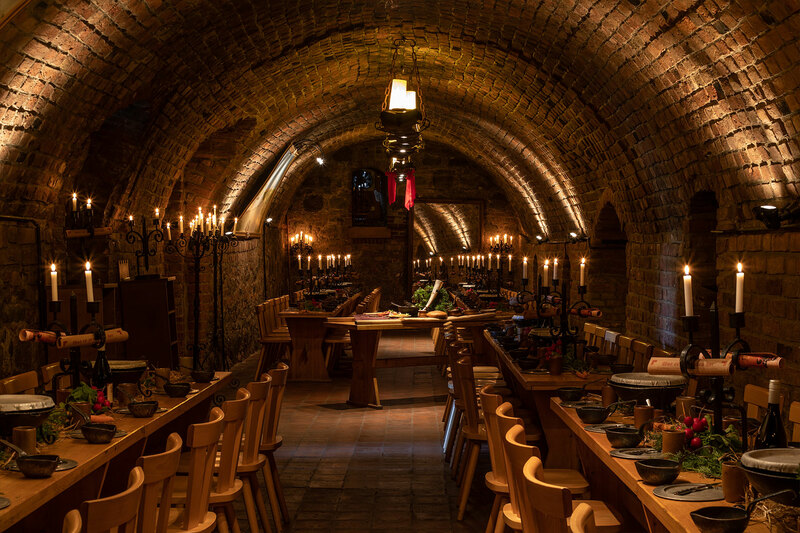 Zitadellen Wirtschaft has been hosting medieval festivities and events of all kind for more than 40 years. The restaurant and event space offers a unique, historic atmosphere. Guests experience eating inside a century old citadel featuring an impressive sprung arc, a cozy fireplace and a rustic tavern. All rooms are decorated with lusters, armaments, halberds and paintings. 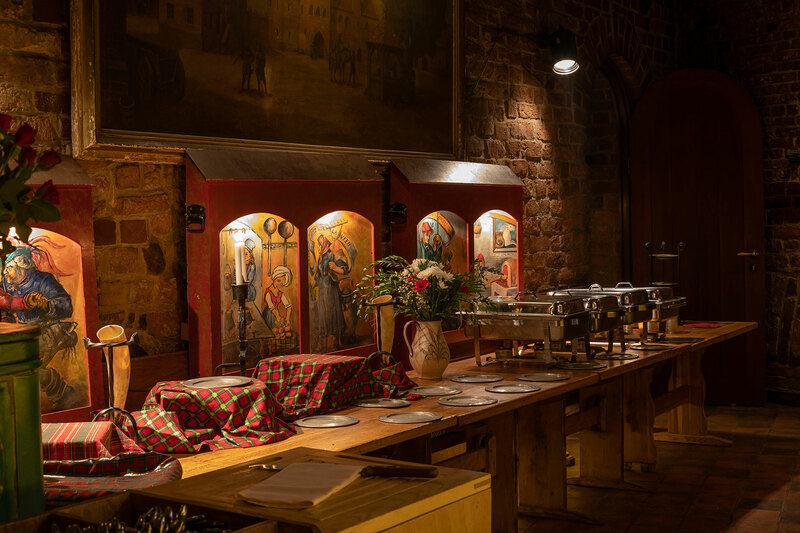 Our signature seven course medieval menu is served by maidservants and farmhands. Our menu offers a great selection of starters, main dishes and desserts such as bread with lard, spit roast, rosmarin spiced chicken leg, cinnamon spiced prunes with cream and roast apple with custard. Our home-bred mead and house wine are served in clay cups and bulls horn. 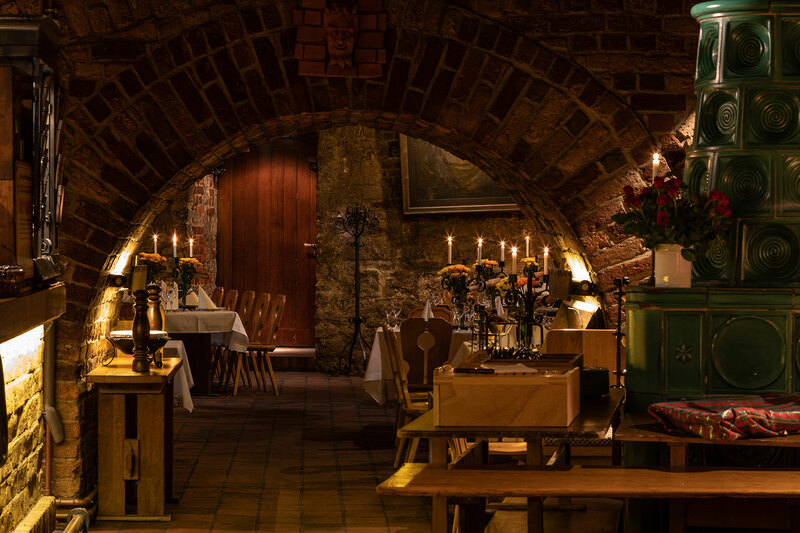 At Zitadellen Wirtschaft, guests will experience an exceptional evening with bardic poetry and singing. Upon request, jugglers, sorcerers, witches and heralds will entertain you. 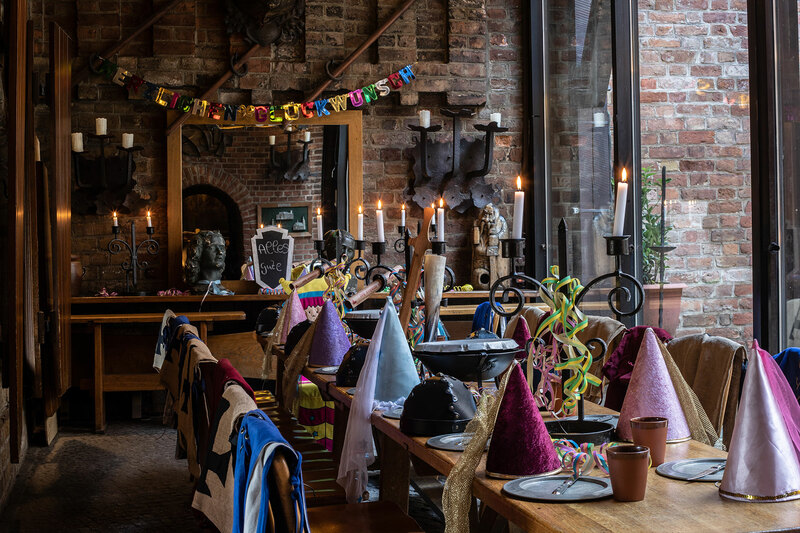 From September until July we offer a rustic Sunday brunch with accompanying entertainment by a ballad-monger.